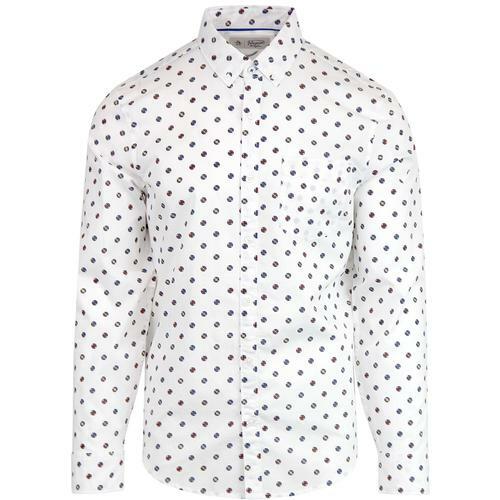 Afield 'Cognito' Men's Retro ski jump print shirt in navy. 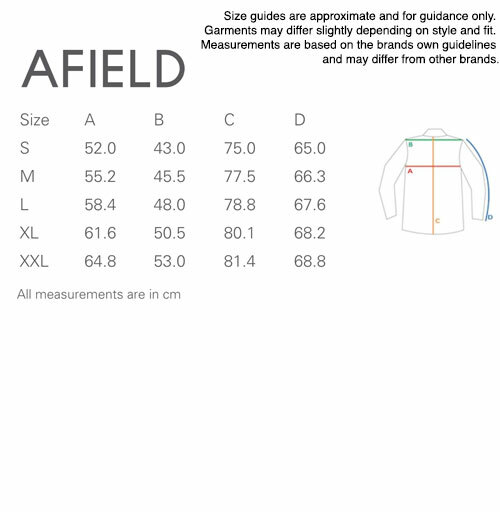 Afield's Mod button under collar long sleeve shirt with Vintage ski jumper design. Featuring pocket to chest, curved hem and Ivy League inspired box pleat and locker loop to reverse. 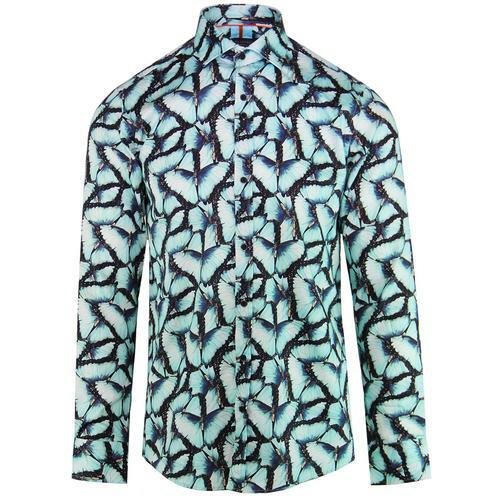 The 'Cognito' Afield Retro ski print shirt is sure to add a cool seasonal edge to your Mod ensemble. 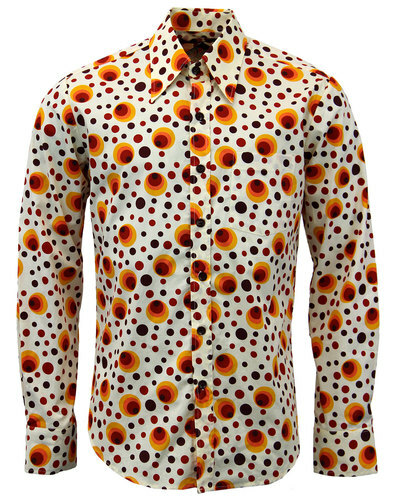 Classic Mod styling blended with a Vintage 1970s inspired ski jump print to create a truly stand out shirt, perfectly relevant for the autumn/winter season! 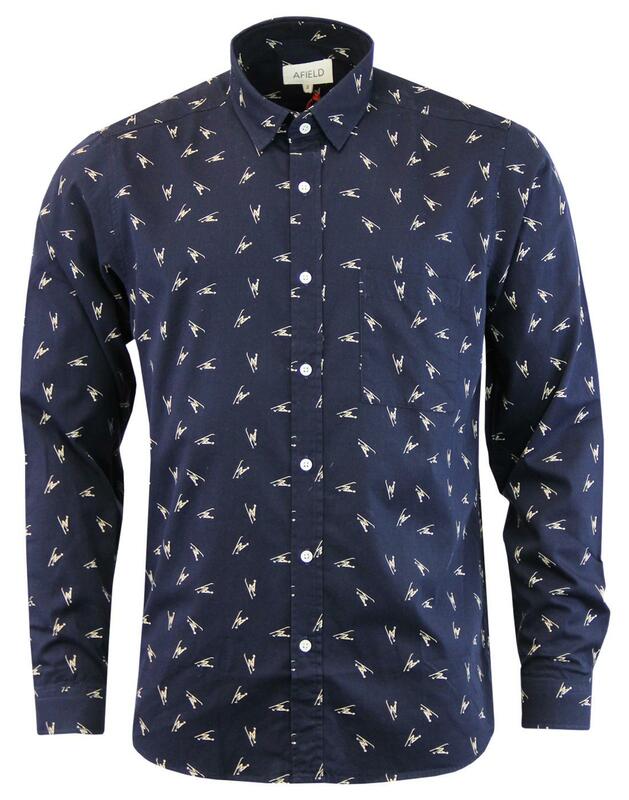 - Afield 'Cognito' men's retro 70s ski jump print shirt in navy. - Box pleat and locker loop to reverse. - Vintage distressed ski jump print in off white throughout. 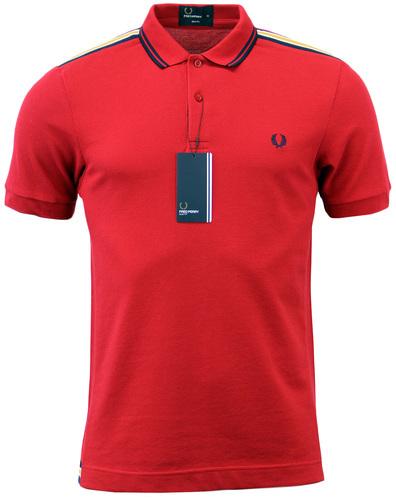 - SKU: AFS036 Cognito Mod Button Under Ski Jump Shirt.